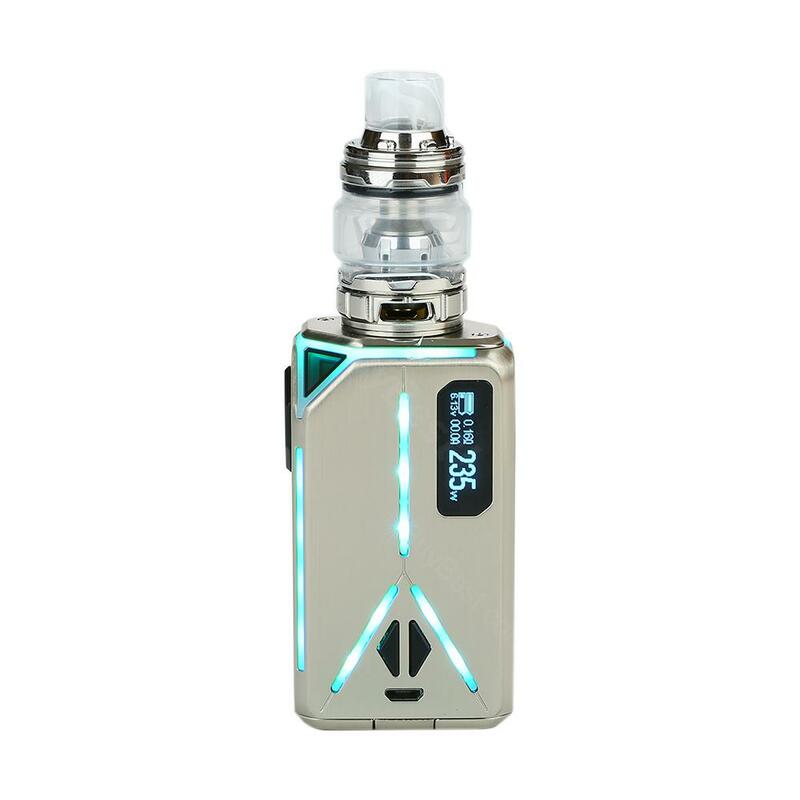 235W Eleaf Lexicon Kit with Ello Duro Atomizer, which comes with seven different color LED lights to illuminate at night, is powered by 18650 batteries to fire up to 235W for pure flavor. 235W Eleaf Lexicon Kit with ELLO Duro Atomizer, which comes with seven different color LED lights to illuminate at night, is powered by 18650 batteries to fire up to 235W for huge flavor. It supports different output modes for different flavor, including Ni200, Ti, SS316 and TCR modes. Screen wil display status of vape clearly. You will fall in love with this kit. • No liquid or battery, you need to buy them separately. • Three-month warranty for Eleaf Lexicon Mod and ELLO Duro Atomizer. I've used many eleaf products and have no complaints. This lexicon kit is very attractive to me when it first released. I love the led light flashing when I take puffs. It looks cool. The ello duro tank is also good. It comes with 2 mesh coils that delivers amazing flavor while producing good clouds! Highly recommend! And last, I have to thank buybest for the good service and amazing price. Lexicon Kit looks cool with the light on. Мощный набор. Выдает большую вкуспередачу. Подходит для функционалиста. i bought this elaef lexicon kit to my husband,he like it very much.Best flavor for him,he also like the apperance. 100% original and great product! thanks for BuyBest! Finally I got this precious atomizer baby. Nice price and excellent quality! After 2 weeks of use, the eleaf lexicon has officially become my favorite. I love the cool led light design, beautiful color, and good performance. I am really impresive with the mesh coils it comes with, flavor is amazing!! Worth the money! Fast delivery,eleaf kit with high quality and beautiful led lights. Boton de calada muy duro, y de plastico, no muy fiables. Envio rapido.